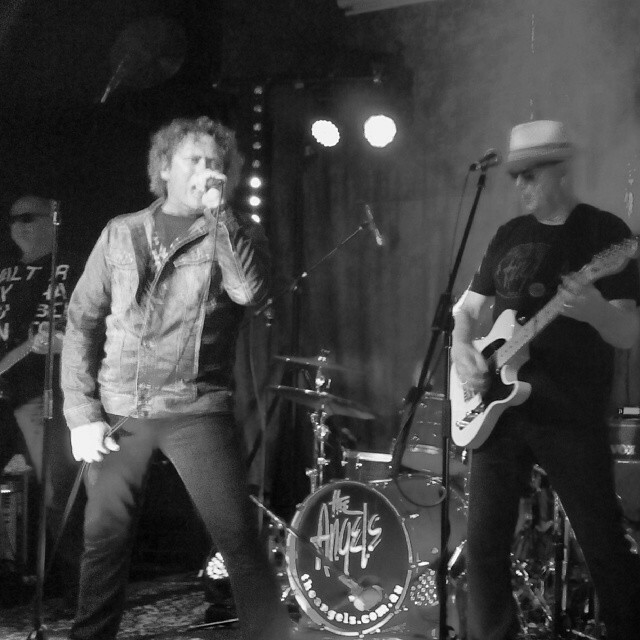 After 20 years as a frontman, Ferg finally took the plunge and signed up to do a solo gig (he blames Ronnie Taheny for bullying him into it but she continues to feign innocence). The photos of the two suspects above are believed to have been taken by forensic photographers Richard Parkhill and Brent Leideritz (respectively). 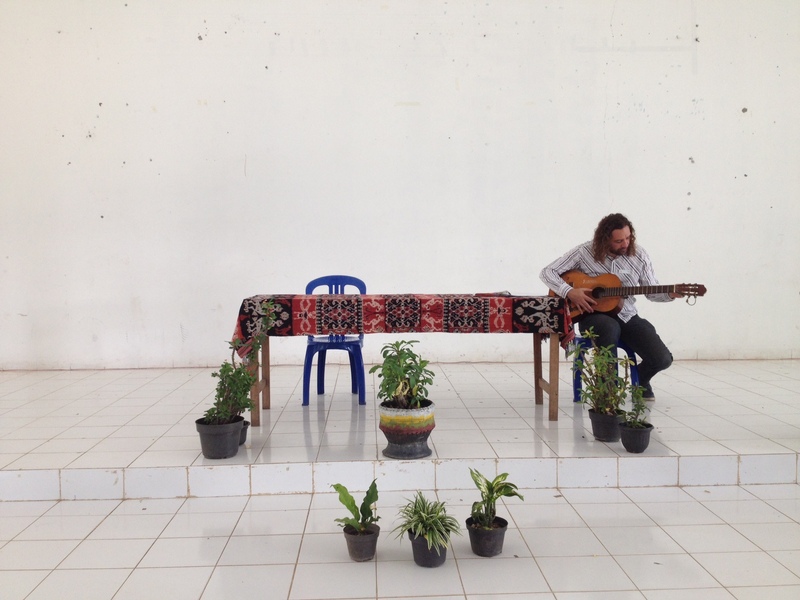 “Fergus Maximus will be performing a 45 minute solo set at the SCALA Live event at The Austral Hotel. However, to confuse matters, the mercurial Fergus O’Regan is also performing that night at the same venue. Yes, it’s a double Fergus bill! And it went … remarkably, astonishingly well. 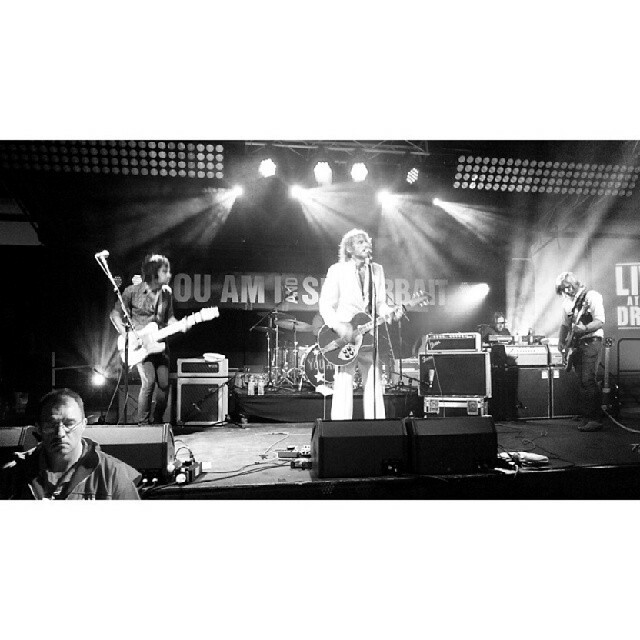 So well, in fact, that there is a Live EP imminent. Ferg told stories and sang songs (that were, admittedly, also stories) and that 45 minutes turned into an hour and people laughed at the right moments and stayed engaged the whole time. All being well, the EP should be released some time in March, with a special edition version containing the whole gig to be released a little later in the year. It feels like the beginning of something new. Thanks to David Bailey for the photo. 2014 was full of wonderful opportunities. Saturday, 9 March 2014. 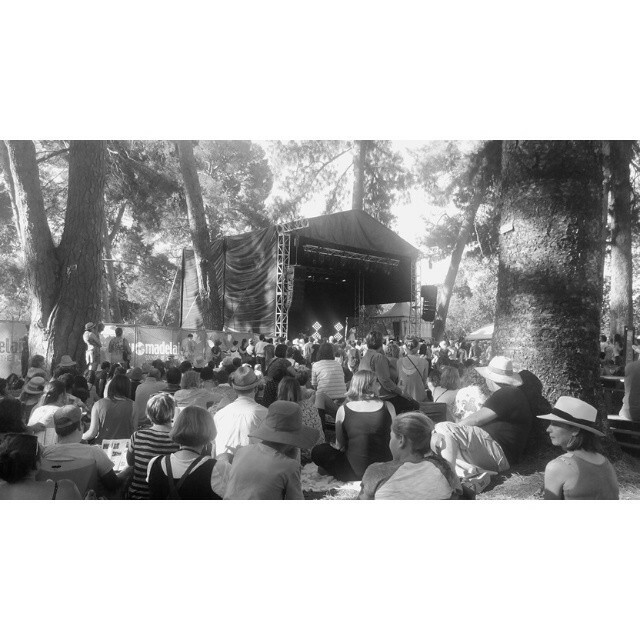 WOMADelaide. It was very dark, the flash on Ferg’s phone camera is terrible and the poor guy was exhausted after performing for an hour and a half but Speech from Arrested Development was gracious, humble and thoroughly lovely and Ferg’s big goofy smile says it all! So ridiculously excited to meet one of his heroes and so delighted that he turned out to be such a great bloke. Later that same week. 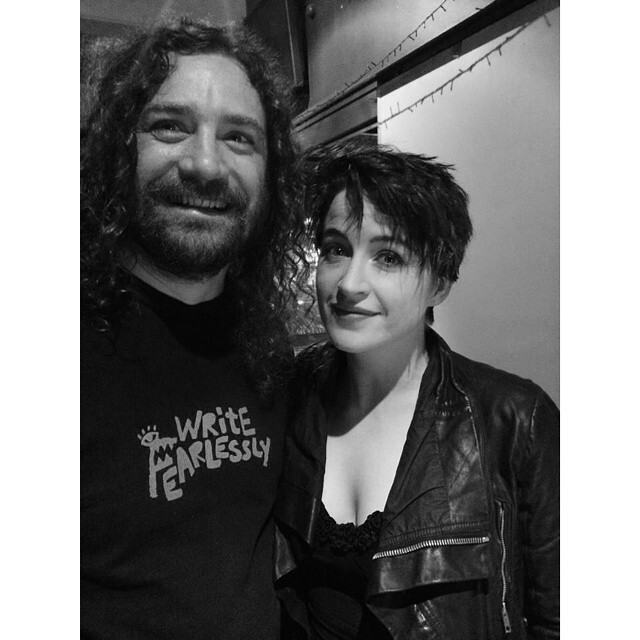 Ferg’s Christmas present to @ashlyferg was VIP tickets to the launch of Kate Miller-Heidke‘s fantastic new, crowdfunded album, “O Vertigo”. 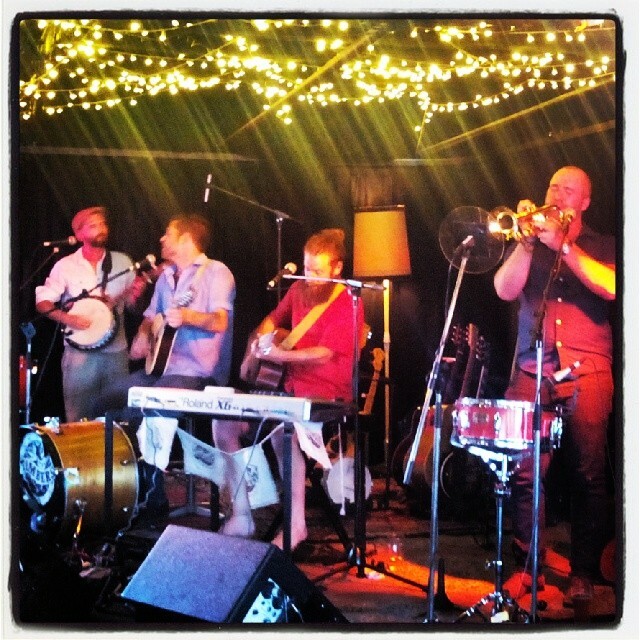 The show was in the Garden of Unearthly Delights as part of the Adelaide Fringe. Of course, Ferg had to go along too. Because, fanboy, you know? In May, Ferg flew to Melbourne for Clare Bowditch’s Big Hearted Business conference. It was a challenging and rewarding experience. One of the highlights was Missy Higgins‘ keynote speech — it was incredibly encouraging to hear her articulate and affirm the value of what we do as songwriters (and Ferg’s daughters were appropriately jealous that he got to meet Missy). 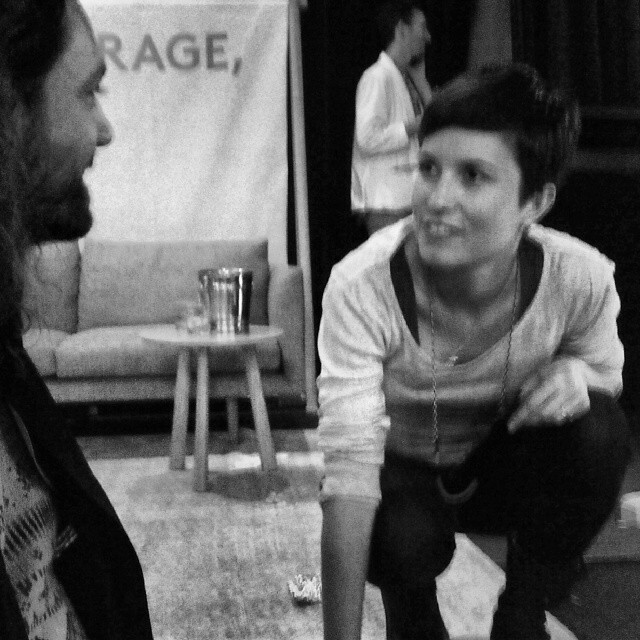 The lovely random stranger who agreed to take a photo of Ferg with the equally lovely Missy Higgins captured the candid shot below while they chatted in the moment before posing for a more typical fan photo. There is a sweet irony in the RAGE apparently emanating from Ferg’s forehead since the mood was entirely cordial. 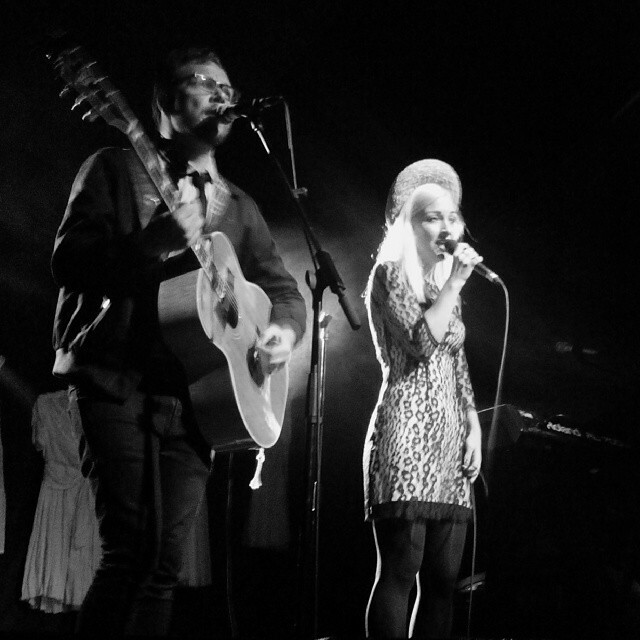 In July 2014, as mentioned elsewhere, Ferg had the opportunity to sing with the lovely Clare Bowditch at The Gov in Adelaide. 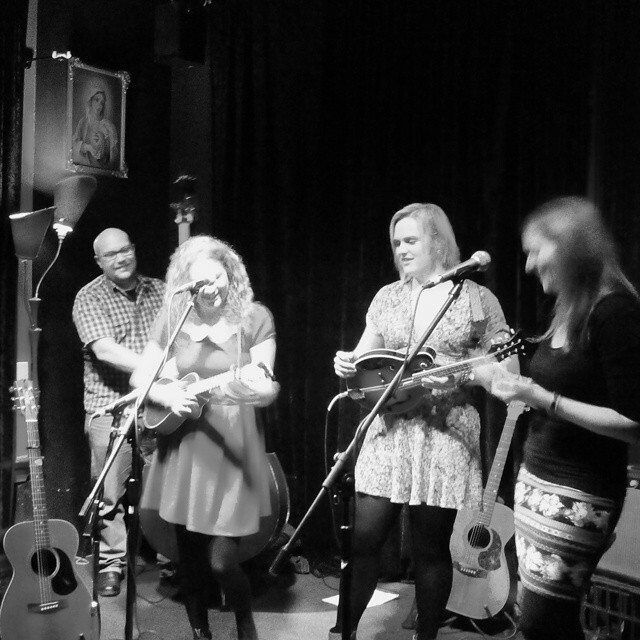 Clare is a genuinely lovely human being and she was so warm and welcoming of Ferg’s hastily-thrown-together gospel quartet (featuring Ferg’s daughter Rachel Ferguson, his kinda-sorta daughter Lily Wicks and the inimitable Luke Thompson). The snapshot below was taken backstage after the show (thanks Lily). If you haven’t seen the video, you can find it on YouTube by searching for “One Little River Fergus Maximus Clare Bowditch”. Or, you know, click here. That works too. Megan Washington‘s “There There” is Ferg’s favourite album of 2014. 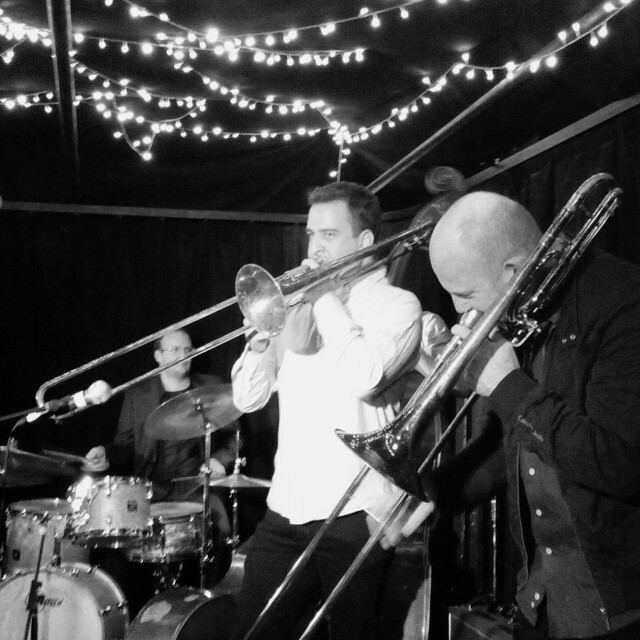 This shot was taken by @ashlyferg after Washo’s album-launch gig at Adelaide Uni Bar in August (Ferg hadn’t been there in 15 years but ended up returning a few weeks later to bid a bittersweet farewell to Bluejuice). Meg was feeling pretty ordinary that night but soldiered on and even hung around afterwards because she is a super trouper. 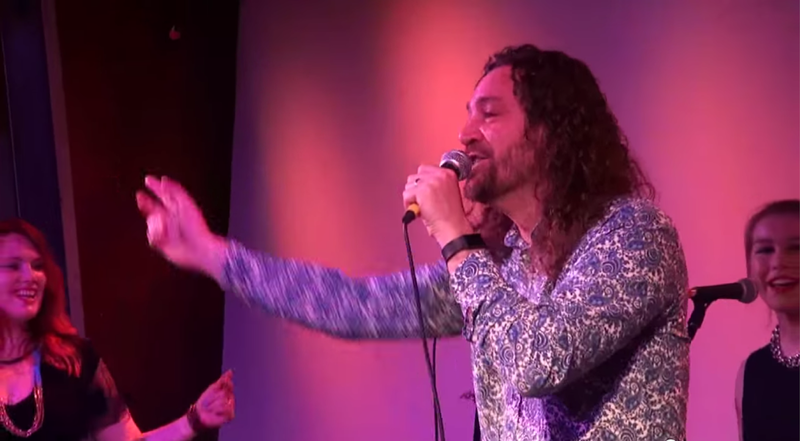 The highlight was a solo version of Cement (with full audience participation, of course). She almost didn’t do it because she said it was a “terrible idea”. Best. Terrible. Idea. Ever. On 25 October 2014, Ferg took part in Welcome To Australia‘s “Walk Together” event, playing congas in Rundle Park, Adelaide to help welcome the thousands of people marching to say we want to change the conversation surrounding refugees and asylum seekers. He had the chance to meet the charming Wally De Backer (aka Gotye) who had flown over to lend his voice to the cause. Technically, I guess you could say Ferg shared the stage with Gotye but they were on that stage at different times. The shot below illustrates beautifully why Ferg doesn’t usually post selfies. Like we said. So many gigs. You Am I rocked Memorial Drive after the opening of the redeveloped Adelaide Oval. In fact, they rocked so ferociously that the security guy achieved a momentary state of serene calm. (Spiderbait were on first and they were seriously great too). 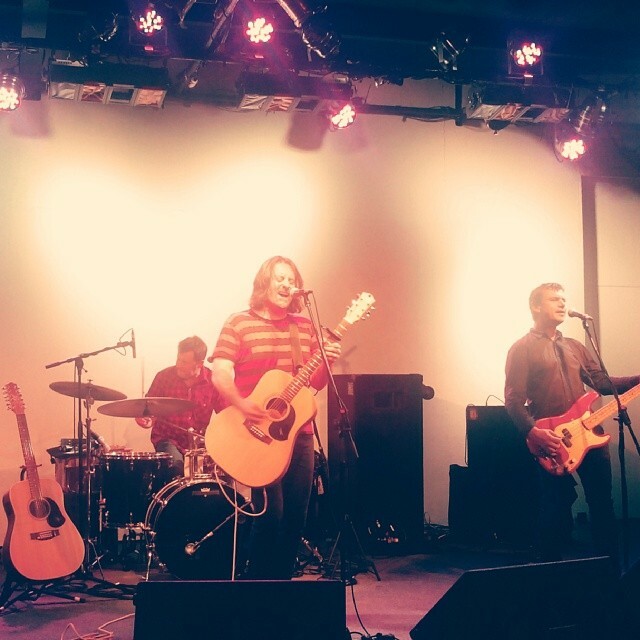 Things of Stone and Wood re-formed to celebrate 25 years since the release of their debut album at The Gov (and as a special treat for the Adelaide crowd, Seven Stories also re-formed just for the night). 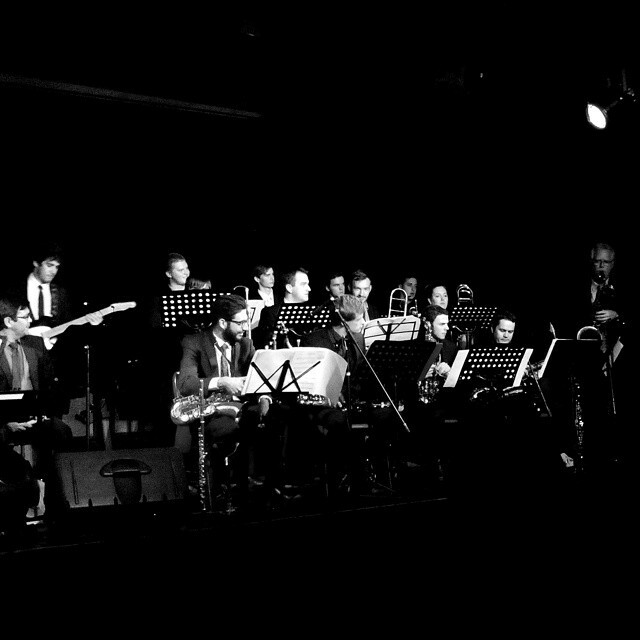 Ferg’s brother, the absurdly talented and even more hard-working Mark Simeon Ferguson, launched his new project, a 19-piece Afro Latin Jazz Orchestra called Orquesta Mermelada, at Nexus. Courtney Robb launched her terrific new album “Into The Dark” at the Grace Emily. And to top it all off, Ferg was treated to a masterclass in being a frontman by Mick Jagger, lead singer in some obscure little band you’ve probably never heard of (the tickets were Ferg’s Christmas/Birthday present from @ashlyferg). 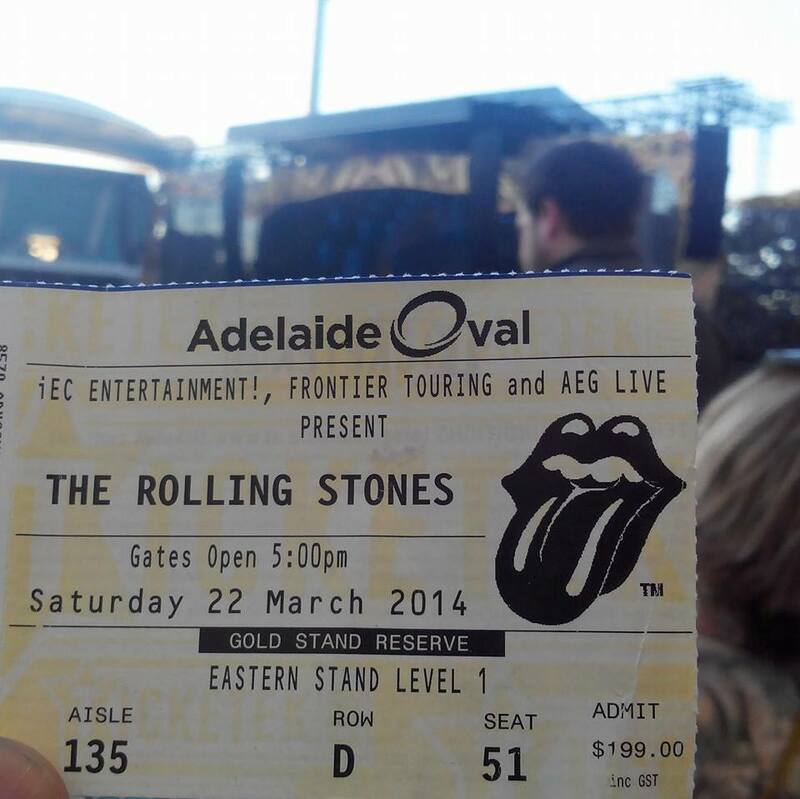 The Stones had originally been booked to play at the opening of the redeveloped Adelaide Oval in March but circumstances conspired against them and it was a nervous wait until October when they made good on the promise (since they are, collectively, about 250 years old). Well worth the wait. Wow. It was a huge year for seeing live music. A handful of lovely memories are illustrated below. 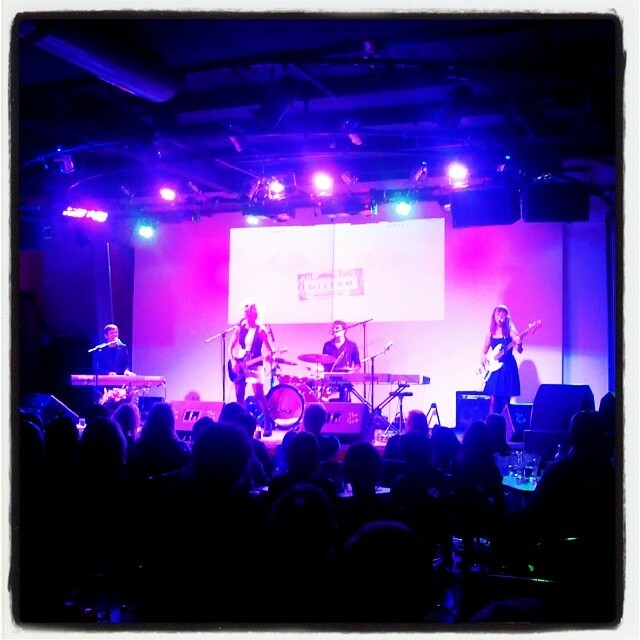 Cat Dog Bird‘s launch gig for their wonderful “Headfirst Into The Riddle” album. 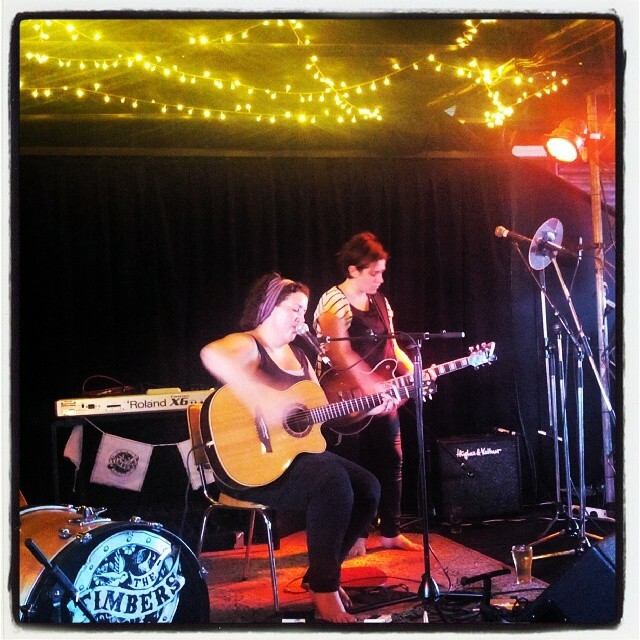 The Brouhaha (Kelly Breuer) with special guest Jenny Biddle at The Wheaty for the Feelgood Folk record label launch. Kel & Jenny were followed by the raucous, joyous madness of The Timbers. Cyclone Ronnie (aka Ronnie Taheny) performed her annual gig at The Gov. 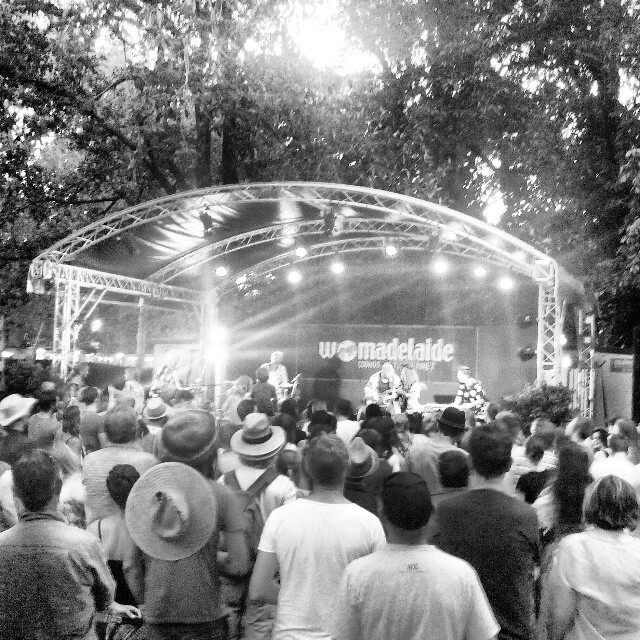 And then there was WOMADelaide. Oh boy. 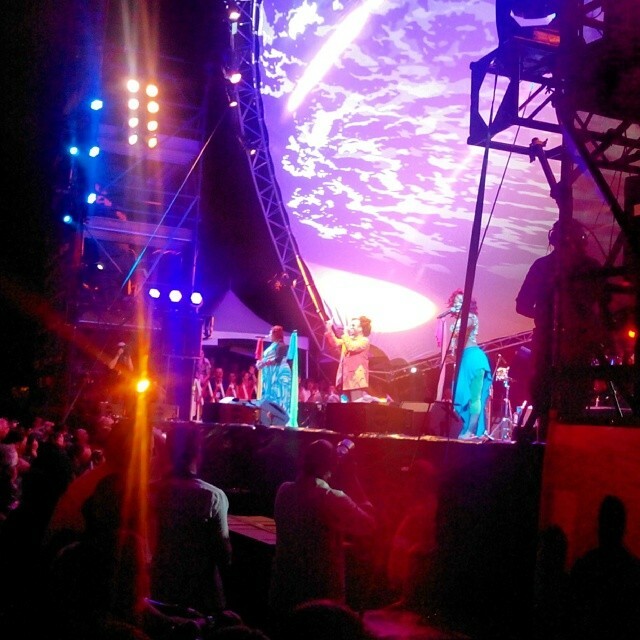 Ngaiire was a pocket powerhouse (but is super sweet in person). Megan Washington previewed tracks from her (at the time) impending new album. 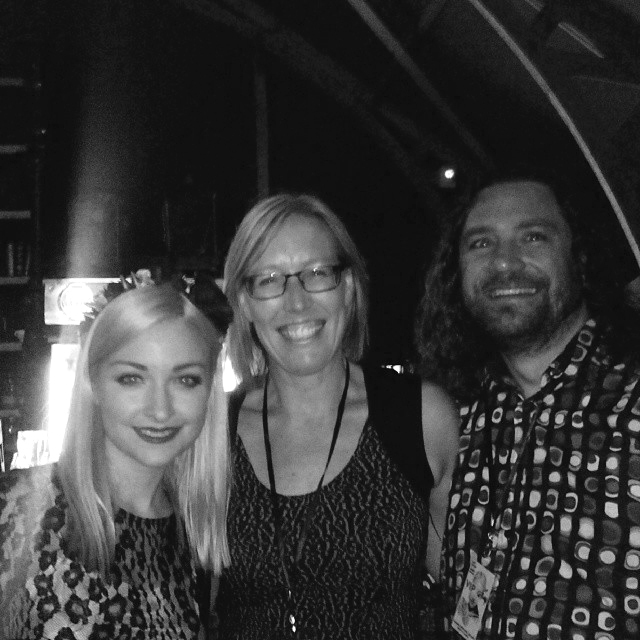 And then the wonderfully unpredictable Kate Miller-Heidke performed with Keir Nuttall at The Famous Spiegeltent. Wonderful. 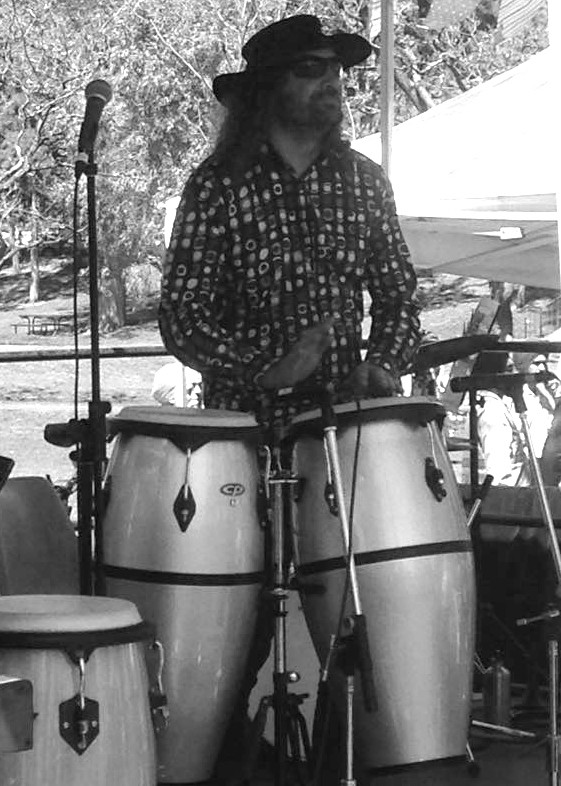 Ferg took part in Welcome To Australia‘s “Walk Together” event on 25 October 2014, playing congas in Rundle Park, Adelaide to help welcome the thousands of people marching to say we want to change the conversation surrounding refugees and asylum seekers. 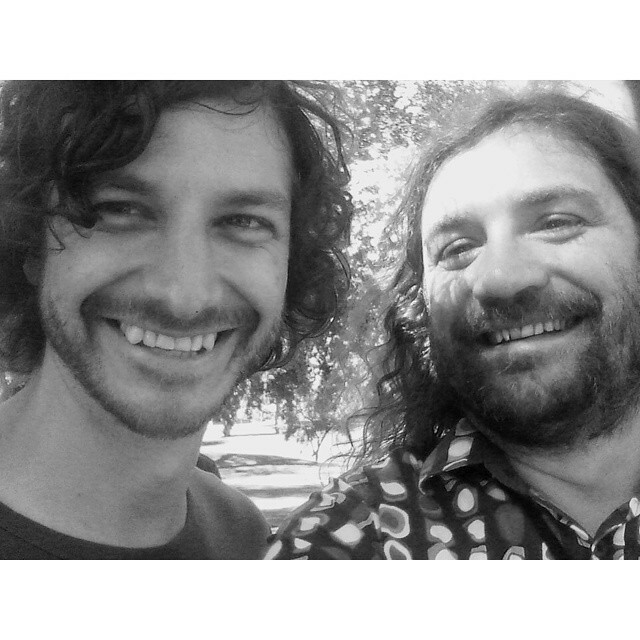 He had the chance to meet the charming Wally De Backer (aka Gotye) who had flown over to lend his voice to the cause. Technically, I guess you could say Ferg shared the stage with Gotye but they were on that stage at different times. Thanks to Dianne Holden for the photo. To celebrate their 24th wedding anniversary in September 2014, Ferg and @ashlyferg flitted off to Sri Lanka to visit their friend Carolyn and her partner, bluesman Glen Terry. Glen and Carolyn run a wonderful resort on the West Coast of Sri Lanka called Udekki. So much fresh seafood, lazing by the pool, reading for pleasure (Ferg devoured 4 novels in a week!) and a wildlife adventure where they got to see a couple of wild leopards. And music, of course. 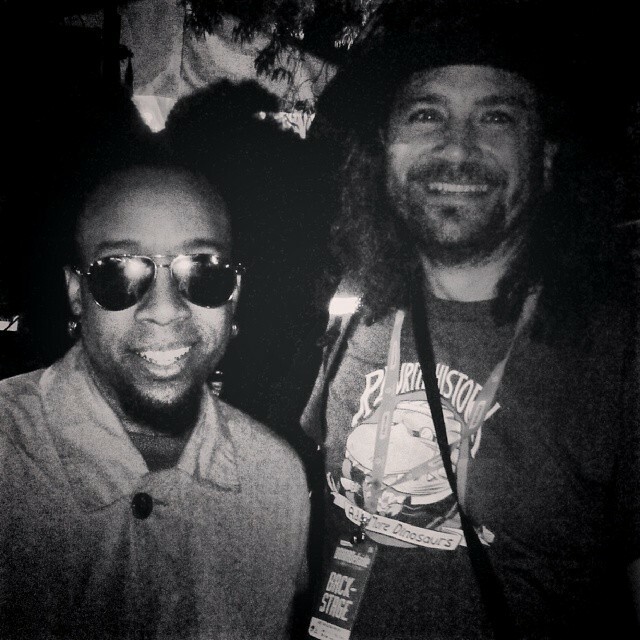 Glen used to tour the world playing the blues. Now the world comes to him! The shot above of Ferg jamming with Glen by the Udekki swimming pool was taken by the aforementioned, exceedingly talented Carolyn McKay. Nice work, Lyn. 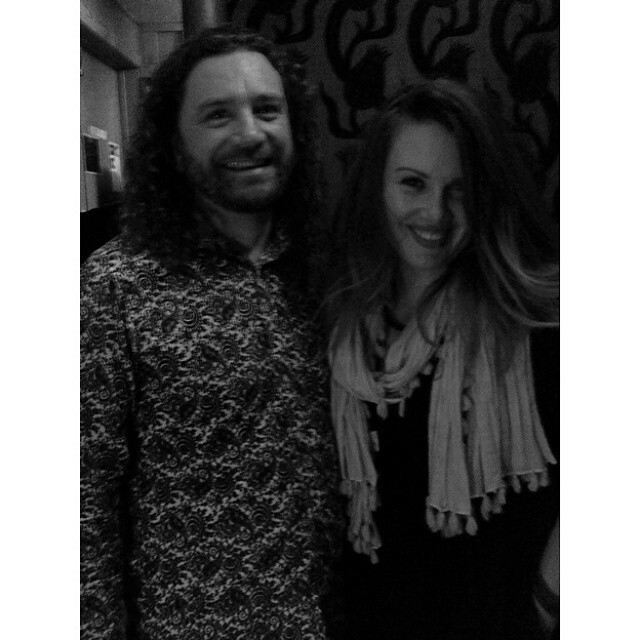 In July 2014, Ferg had the opportunity to sing with the lovely Clare Bowditch at The Gov in Adelaide. This led to the most incredibly intense couple of weeks of madly coordinating and rehearsing a hastily-thrown-together gospel quartet (featuring Ferg’s daughter Rachel Ferguson, his kinda-sorta daughter Lily Wicks and the inimitable Luke Thompson). 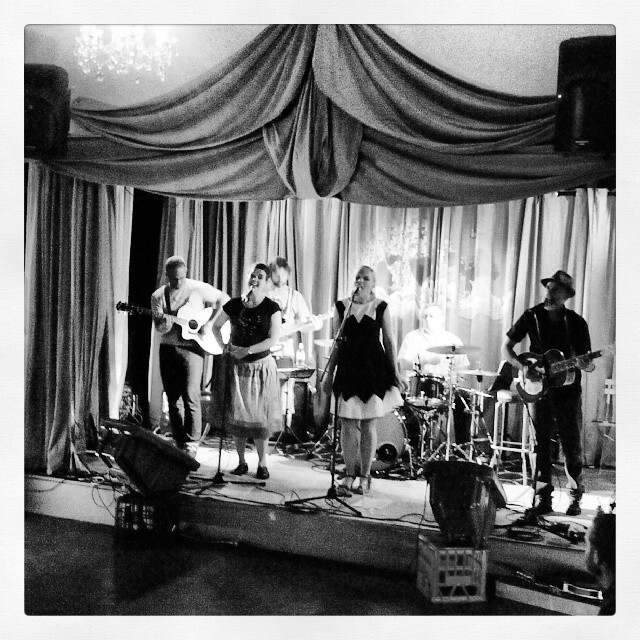 The quartet backed Clare singing her song One Little River using an a capella gospel arrangement by Ferg’s incredibly talented brother Mark Simeon Ferguson (based on Clare’s original, Ferg’s cover and Mark’s actual understanding of gospel harmony). The photo above is a still from the video taken by Daniel Ralph from PressStopProductions . It’s a nice grab, sure, but why not check out the whole video below? 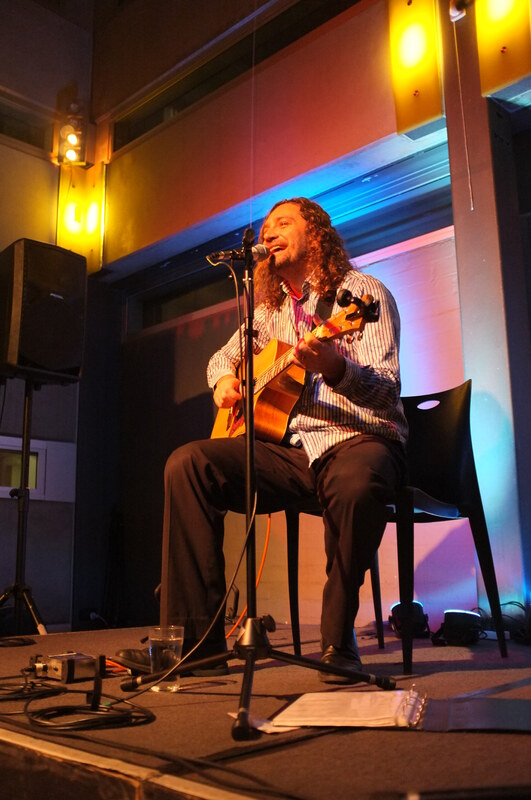 Adelaide’s music fraternity was rocked in late May 2014 by the tragic, unexpected death of Mike Stewart. 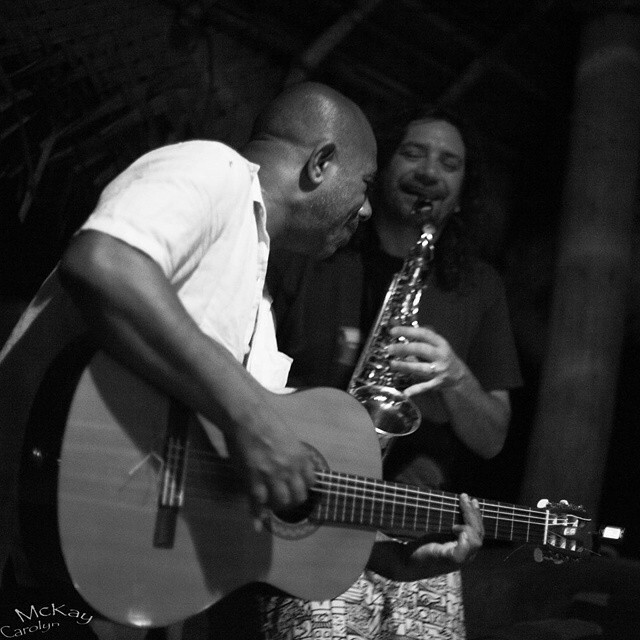 Mike was a saxophonist, big-band leader and jazz lecturer. Most importantly, though, he was a really excellent human being and he is sorely missed. 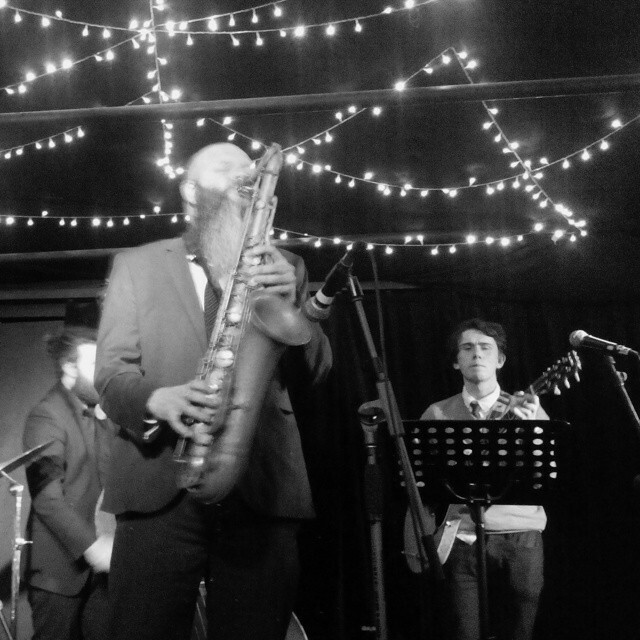 Joy commingled with sorrow as the Adelaide jazz community gathered at The Wheaty to say farewell to Mike. It was emotional and beautiful and heartbreaking and there was a tremendous sense of solidarity, of community. Mike was taken from us far too soon but his legacy lives on. Adam Page soloing on Radiohead’s High & Dry. 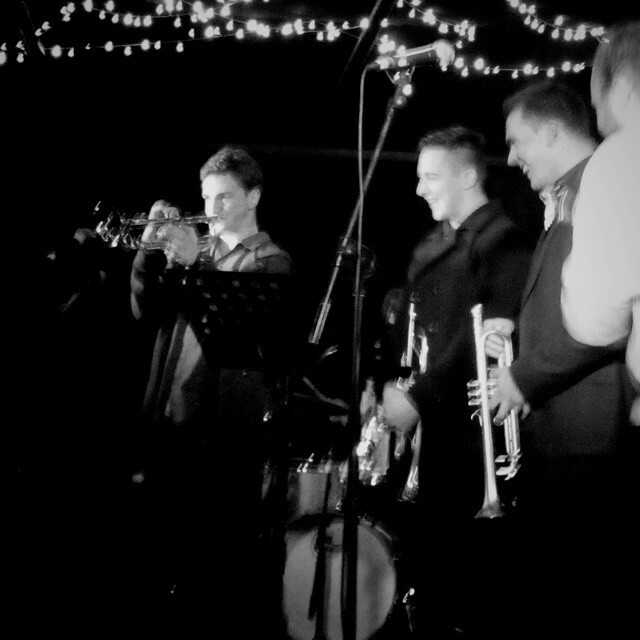 Yes, it’s blurry, but check out the delight on the faces of the guys watching 17-year-old wunderkind David Goodwin cook up a storm. Dave Palmer hands the solo over to Alex Taylor.